Oliver's Bark About: penny for your thoughts….. I have noticed people don't seem to care about these little round pieces of metal…. my brother says you can't buy anything with them…. my mom gets excited when she finds one discarded on the ground as long as it is "heads up". Some of you humans think these are lucky. She always makes a "wish", something about everyone staying healthy or something like that. She does the same thing with four-leaf clovers, though she never seems to find those. Her friend Kerri finds them every time she looks……seriously! 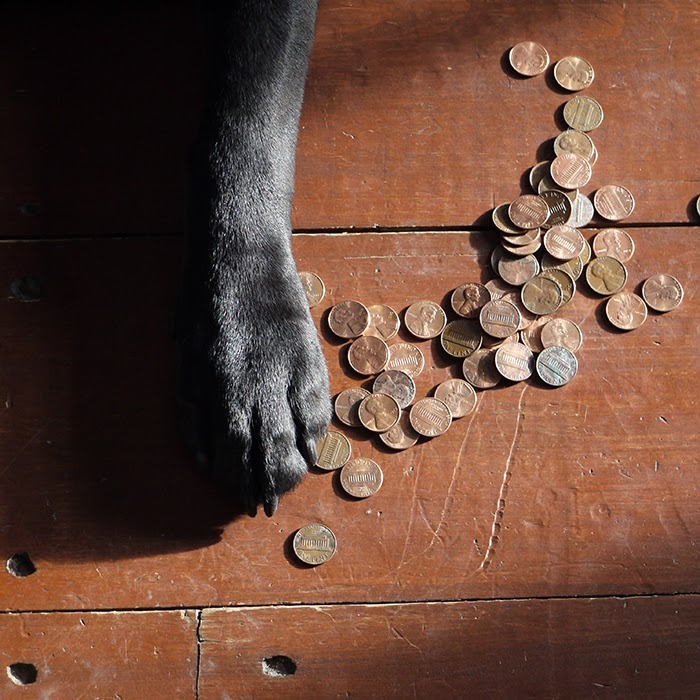 Believe it or not these little pennies can be deadly to us pets! If you have been following this blog you probably already are aware that we love to eat everything, especially shiny stuff. Dad removes rocks from labs, brushes from boxers, shaving razors from terriers, and tinsel from cats….. if it can be swallowed my dad has removed it! The difference with these little gems is that when a dog swallows a rock he begins to show telltale signs of an obstruction. These dogs stop eating, have diarrhea and vomit frequently. Their abdomens are painful…. United States pennies minted after 1982 are loaded with zinc, 99.2% by weight (the remainder is copper). Zinc is an essential trace element (with emphasis on trace) for normal body metabolism. 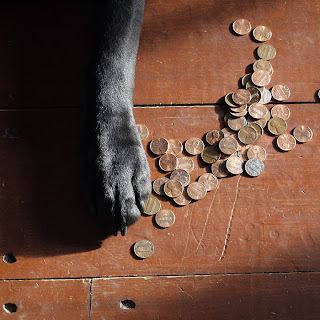 Everyone, pets and people need a small amount to stay healthy. 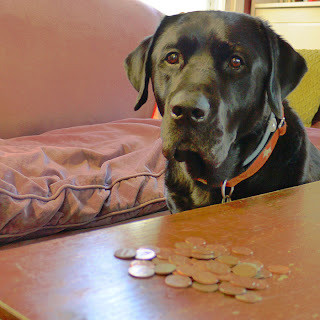 What happens if your pet eats some pennies? Believe me this isn't uncommon! The ASPCA Poison Control Center reported 4,660 dogs and 250 cats with known zinc exposure in 2010. The numbers are probably much higher since it can be misdiagnosed very easily. What happens when your pet ingests pennies? Most patients start showing signs after a few days of eating the change. What begins as vomiting can escalate to death quite rapidly, depending on how many pennies have been eaten. Other common signs are loss of appetite, diarrhea, and bloody stool. What disease or illness doesn't sound like this? As the poisoning progresses it begins to look more like an immune-mediated hemolytic anemia (IMHA). Radiographs which show metallic objects in the dog can help rule out other diseases, though the absence does not rule out zinc toxicity! Blood testing for zinc levels, urinalysis and other laboratory testing is necessary when dealing with this poisoning. 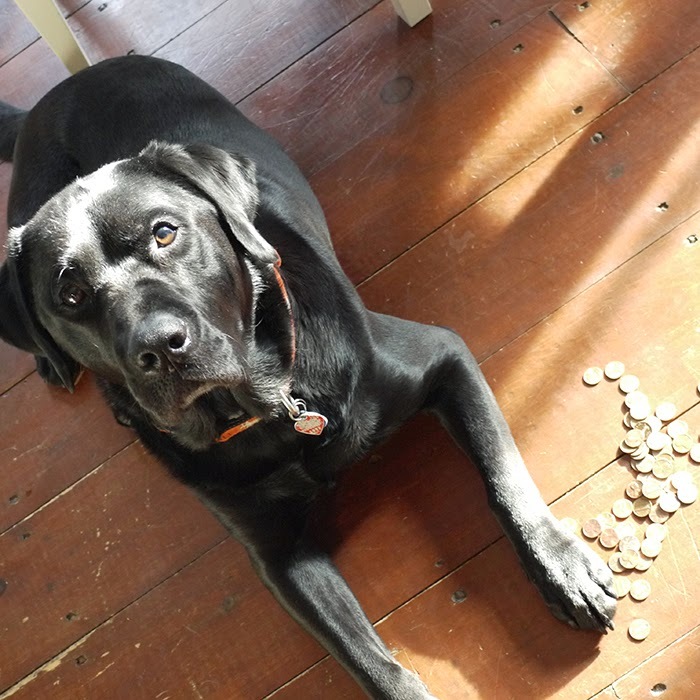 So what happens when we find out your little love has had a meal of pennies? We must provide supportive care and remove the source of poisoning. We treat the dehydration and shock with intravenous fluid therapy, and once the patient is stable we remove the foreign bodies. Time is the key for survival. The faster we can pinpoint the illness, the more likely the patient will recover fully! For more information on zinc toxicity visit the ASPCA site!